If one has to choose the filmiest event in the list of wedding functions, then it has to be Mehendi Ki Raat. Plus, it's impossible to deny that the pre-wedding scenes are something which we keep coming back to, long after we've tied the knot! 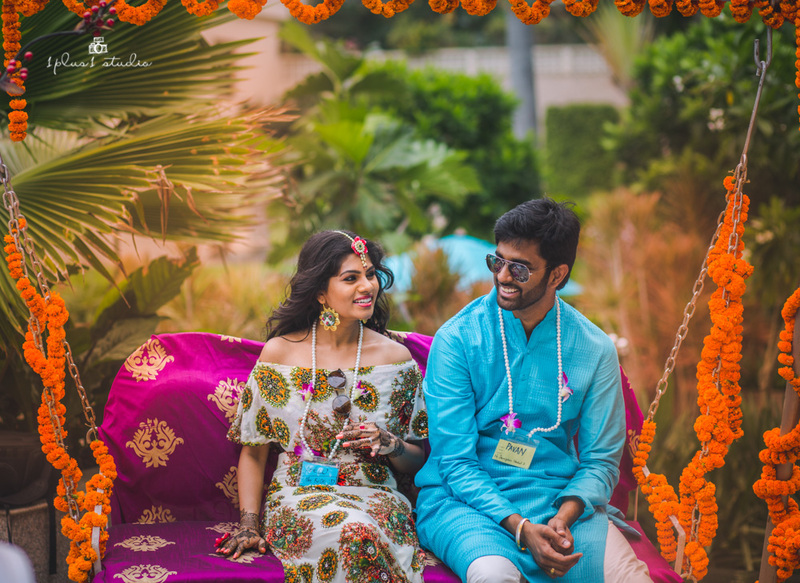 And undoubtedly, the Mehendi ceremony photographs have the most candid moments captured! 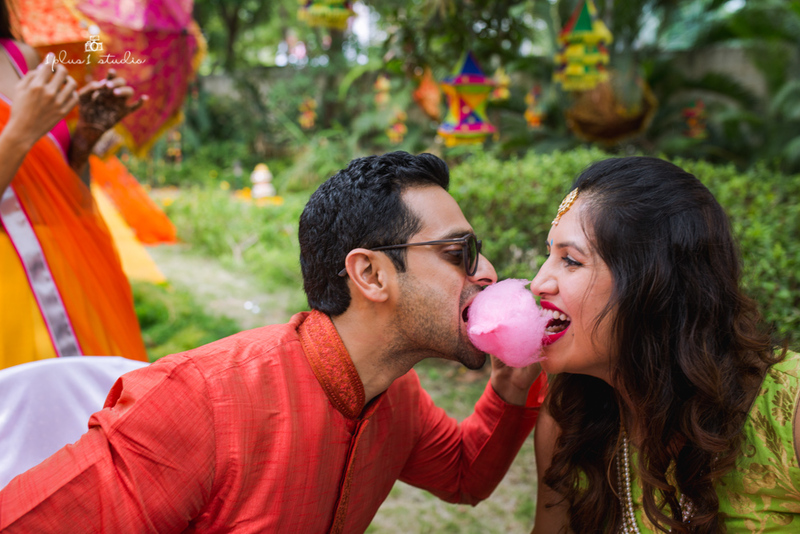 Here are some ways to make those photographs with your Dulhan or Dulhe Raja exciting enough. After all, coming back to the box of memories should always leave a smile on your face! 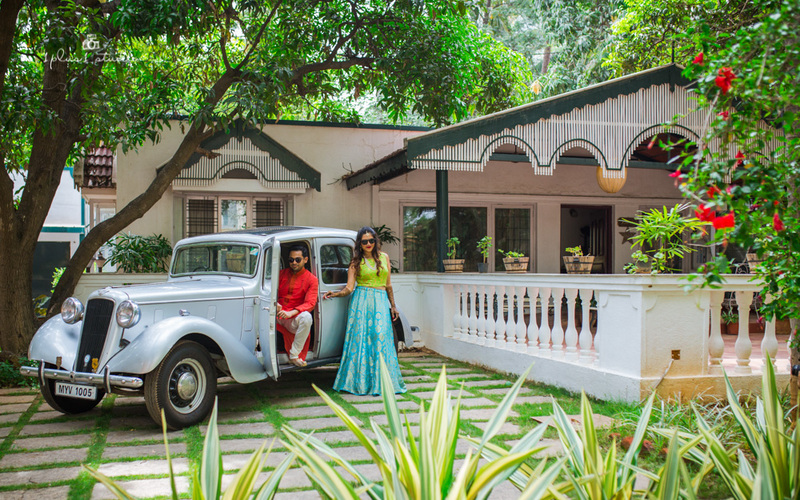 What could be better than having a photograph with a Vintage Car to mark your promise of growing old together and travelling in the car of life? Long time back, it was Raj Kapoor and Nargis who made Umbrella look like an emblem of love and Romance. Add a modern twist to revive the sentiment and make your photograph look better than ever! Looking back at quirky and funny photographs will never fail to make you smile. So get the most funky props and pose with your spouse-to- be! 4. The one where he makes you eat! 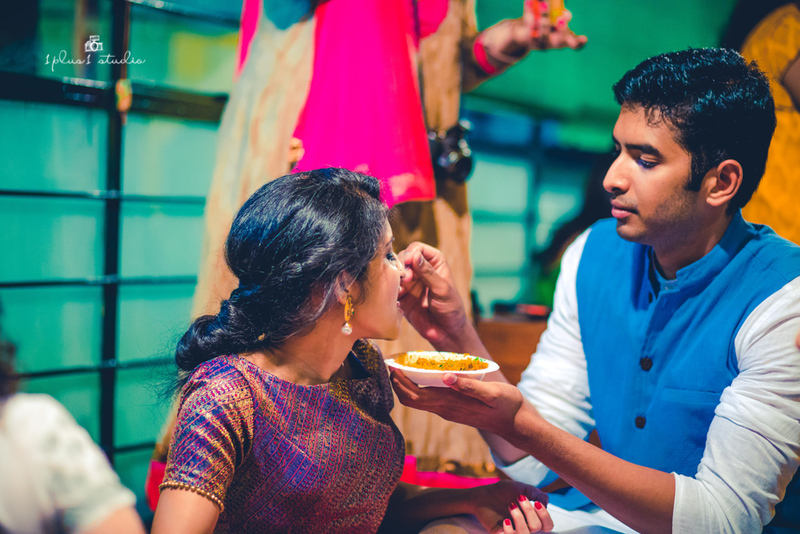 Undoubtedly, like every film, every mehendi ceremony is complete when the groom comes to make her bride eat something. 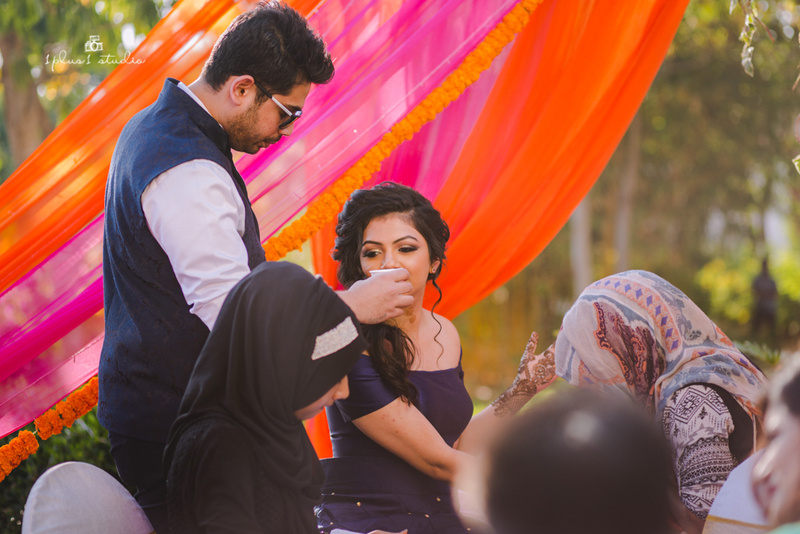 Make sure your photographer captures while you plunge into the beauty of this moment! To show that you'll be there when its high and even in the lows of life, what possible object could be found if not swings? 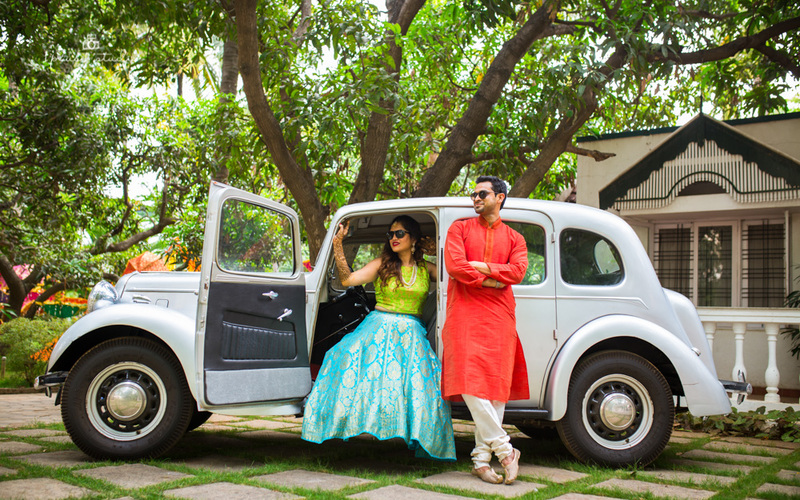 Make it stand in your photograph and get clicked! 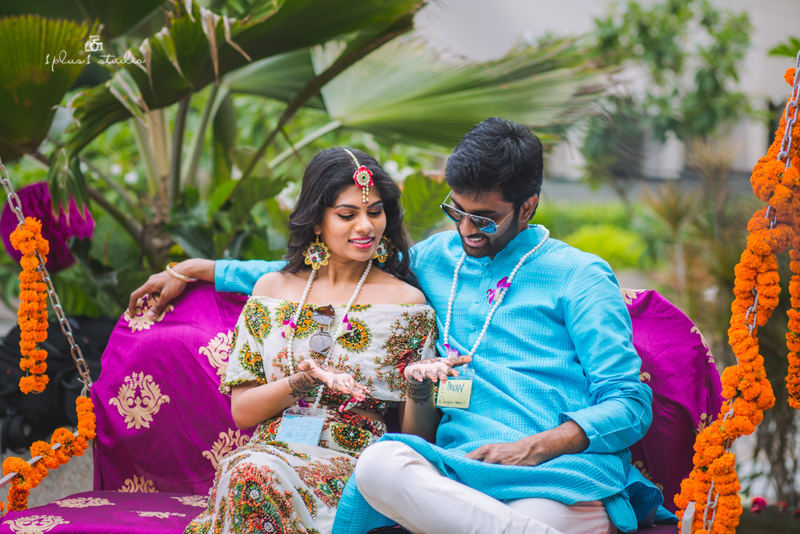 Perhaps, Mehendi ceremony is that one time to be free and easy and the only event to get the maximum candid photographs! So, let yourself be and let the photographer take over!